Peter Pan (2018), presented by Acting Company 2018 and Production students. Photo: Drew Echberg. Acting Company 2018 showcases the best of our graduating acting students. These emerging artists develop, strengthen and hone their acting chops through a broad range of studio-based learning, encompassing movement, voice, improvisation and stagecraft. Our students gain vital experience in film, television and stage during their time at the VCA, and go on to work across a wide range of areas in the industry. Lucy’s recent credits at the Victorian College of the Arts (VCA) include John Proctor in The Crucible (dir. Adena Jacobs), Fortune Teller in ‘The Skin of Our Teeth’ (dir. Dean Bryant), Westmoreland in ‘Henry V (dir. Leith McPherson), Clytemnestra in The Greeks (dir. Melanie Beddie) and Nina in ‘The Seagull’ (dir. Budi Miller), which she later performed at the Asia Pacific Bond of Theatre Schools Festival and Directors Conference in Shanghai, 2017. She has co-devised and performed in a series of short films in collaboration with Film and Television students at the VCA. In 2017, Lucy was the recipient of the Orloff Family Charitable Trust Scholarship for excellence. 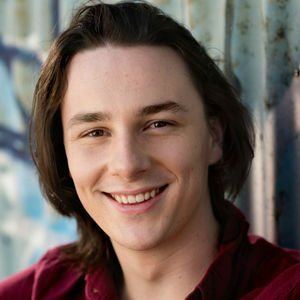 Before studying at the Victorian College of the Arts (VCA), Oliver completed a Bachelor of Performing Arts at Monash University. Oliver’s recent stage credits at the VCA include Elizabeth Proctor in ‘The Crucible’ (dir. 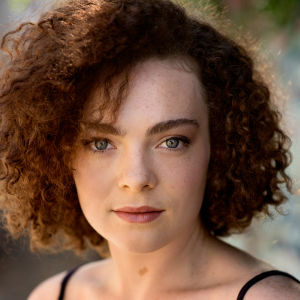 Adena Jacobs), Lady Anne in ‘Richard III’, Trigorin in ‘The Cherry Orchard’ (both dir. Budi Miller), SM/ Fitz in ‘The Skin of Our Teeth’ (dir. Dean Bryant), and Aegisthus in ‘Agamemnon’ (dir. Melanie Beddie). 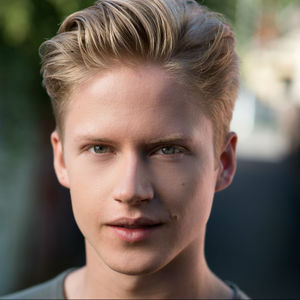 Oliver also recently played the role of Mike Rosoft on the web series ‘Tech Inc. Global’, a collaborative project with the VCA Film and Television school. In 2017 Oliver was selected to perform in Shanghai for the Asia Pacific Bond of Theatre Schools Festival and Directors Conference and was one of the recipients of the Pratt Bursary, awarded for excellence in theatrical study at the VCA. 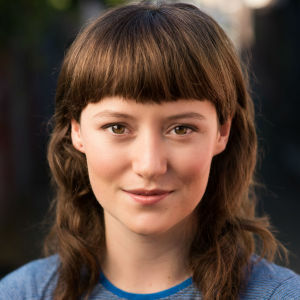 Raised on the Gold Coast and now based in Melbourne, Hayley’s credits at the Victorian College of the Arts (VCA) include the Dauphin in Shakespeare’s ‘Henry V’ (dir. Leith McPherson), Betty Parris in ‘The Crucible’ (dir. Adena Jacobs), Lyubov Ranevskaya in ‘The Cherry Orchard’ (dir. Budi Miller) and most recently Miss Muse, Philosopher and Conveener in ‘The Skin of Our Teeth (dir. Dean Bryant). She has also performed in short film roles including Renee in ‘The Box of Theseus’ and Hannah in ‘Emunah (Faith)’. Hayley recently worked on the original web series ‘Winging It’, where she played the lead role of Lily. Born and raised in Queensland, Bronte’s theatre credits at the Victorian College of the Arts (VCA) include Henry in ‘Henry V’ (dir. Leith McPherson), Mrs. Antrobus in ‘The Skin of our Teeth’ (dir. Dean Bryant), Reverend Parris in ‘The Crucible’ (dir. Adena Jacobs). She also played Taylor (co-lead) in the original web series ‘The Waiting Game’ (dir. Hannah Herrmann-Payn). She has co-created and performed in several short films in collaboration with VCA Film and Television undergraduate and masters students. 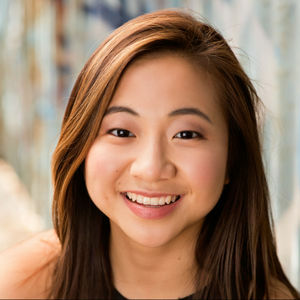 She was selected to travel to Shanghai for the Asia Pacific Bureau (APB) Conference of Drama Schools and was awarded the Pratt Bursary Scholarship for Excellence in Acting in 2017. She has already been cast in David Mamet’s ‘Oleanna’, an incredibly relevant, politically stirring two-hander, directed by Helen Doig, showing at the Alex Theatre, St Kilda in December. Originally from Hobart, Tasmania, Noah is an accomplished actor and performer based in Melbourne. 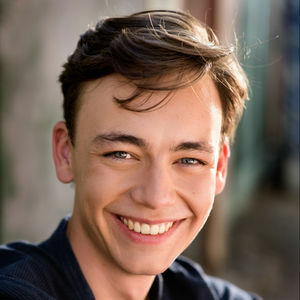 While studying at the Victorian College of the Arts (VCA), Noah has performed such roles as Richard in ‘Richard III’ (dir. Budi Miller), Gladys in ‘The Skin of Our Teeth’ (dir. Dean Bryant), Treplev in ‘The Seagull’ (dir. Budi Miller), Second Twin in ‘Peter Pan’ (dir. Ben Schostakowski), Odysseus in ‘The Trojan Women’ (dir. Melanie Beddie), and starred as Dexter in the original VCA web series ‘Tech Inc. Global’ (dir. Harrison Lane, Alex Thomson and Tom Kerrigan). Other accomplishments include representing the VCA in Shanghai at the 2017 Asia Pacific Bond and returning to Hobart in 2018 to play the title role in Big Monkey Theatre’s ‘Aladdin’ (dir. Les Winspear). 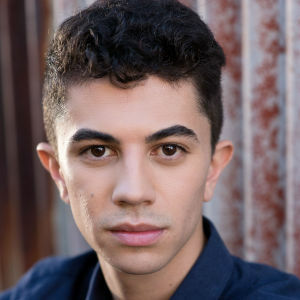 Noah is also an accomplished musician, musical theatre performer, and singer-songwriter who recently released his debut EP ‘Fight Against the Blue’. At the Victorian College of the Arts (VCA), Nic has performed as Captain Hook in ‘Peter Pan’ (dir. Ben Schostakowski), Mrs Antrobus in ‘The Skin of Our Teeth’ (Dir. Dean Bryant), Lopakhin in ‘The Cherry Orchard’, and Queen Elizabeth in ‘Richard III’ (both dir. Budi Miller). Before the VCA, Nic trained in improvisational comedy at Chicago’s iO Theater. 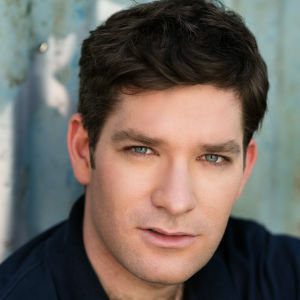 He was thrice nominated for Best Junior Male Performer at the Victorian Music Theatre Guild for his roles as Eldest Magician in ‘Just So’, First Man in ‘Kiss Me Kate’, and JB Biggley in ‘How to Succeed in Business’ (Adamson Theatre Company). 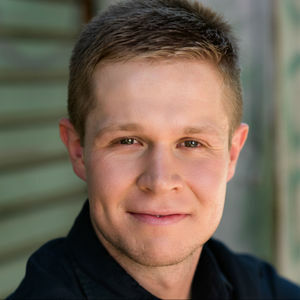 Nic has written, directed, and acted in short films that have been finalists in the Bayside, ATOM, and St. Kilda Film Festivals. Originally from Hobart, Tasmania, Alex is a passionate actor and performer based in Melbourne. While studying at the Victorian College of the Arts he has performed such roles as Peter Pan in ‘Peter Pan’ (dir. Ben Schostakowski), Henry in ‘The Skin of Our Teeth’ (dir. Dean Bryant), Queen Margaret in ‘Richard III’ (dir. Budi Miller) Menelaus in ‘The Greeks’ (dir. Melanie Beddie), and Treplev in ‘The Seagull’ (dir. Budi Miller), a performance which was taken to represent VCA at The Asia Pacific Bond Conference in Shanghai. Alex also participated in an intensive clown, mask and traditional Balinese arts workshop in Bali coordinated by Budi Miller. He also has a background in singing and musical theatre, being nominated for a Tasmanian Theatre Award in 2017 for his work in ‘Little Shop of Horrors’ (dir. Robert Manion). Originally from Sydney, Ian began performing at university in revues, and shows for the Sydney University Dramatic Society (SUDS), where highlights included ‘Hamlet’, ‘Agamemnon’ and ‘The Threepenny Opera’. His Sydney independent work includes roles in ‘Colony’ and ‘Fallout’ for Smoking Gum Theatre, and two farces with long titles for Jetpack Collective, as well as improvised and stand-up comedy. At the Victorian College of the Arts (VCA), he has appeared as Agamemnon in ‘The Greeks’ (dir. Melanie Beddie), Stanley in ‘Richard III’ (dir. Budi Miller), Thomas Putnam in ‘The Crucible’ (dir. Adena Jacobs), and Mr Antrobus in ‘The Skin of Our Teeth’ (dir. Dean Bryant). He also featured in the web series ‘The Waiting Game’. He wrote the book and lyrics for the original musical ‘The Detective’s Handbook’, presented by New Musicals Australia and the Hayes Theatre Company in 2016. Sarah's theatre credits include Sabina in The Skin of Our Teeth (dir. Dean Bryant) Lulu #1 in ‘Don't Bring Lulu’ (dir. Tom Gutteridge), Helen of Troy in ‘The Trojan Women’ (dir. Melanie Beddie), Fluellen in ‘Henry V’ (dir. Leith McPherson) and Tituba in ‘The Crucible’ (dir. Adena Jacobs). She has also featured in the web series ‘Words from Wilde’ (dir. Mary McGillivray) as Constance Lloyd, and in VCA-produced web series ‘The Waiting Game’ as the lead Jess. In 2015, she was a creator in the devised show ‘The Roar’ which was awarded the Script Writing Award by the University of Melbourne Theatre Board. As well as attending the Victorian College of the Arts (VCA), Sarah has completed a Certificate III in Theatre and Screen Performance and attended an acting masterclass at the GEOKS Art Space in Bali. From Launceston, Tasmania, Cameron’s credits at the Victorian College of the Arts (VCA) include the Broadcast Official in ‘The Skin of Our Teeth’ (dir. Dean Bryant), Tootles in ‘Peter Pan’ (dir. Ben Schostakowski), Clarence and the Duchess of York in ‘Richard III’ (dir. Budi Miller), Konstantin Treplev in ‘The Seagull’ (dir. Budi Miller), and Agamemnon in ‘Agamemnon’ (dir. Melanie Beddie). 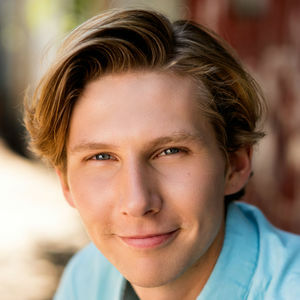 Cameron is an accomplished musician; trained in classical piano and singing, and has credits performing throughout the Northern Tasmania region. While undertaking his studies with the VCA, Cameron also recently graduated with a Diploma of Music through the University of Tasmania in July, 2018. 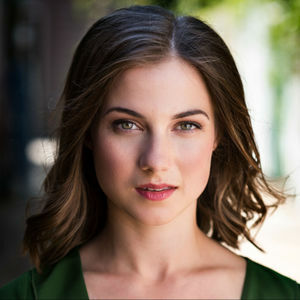 Born and raised in Melbourne, Joanna has trained in music theatre at Showfit where she performed in a devised musical piece, ‘Songs for the Master’ (dir. 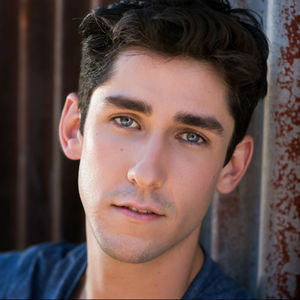 Scott Johnson). Later next year Joanna will appear as Young Burnadette in the feature film ‘Ride Like a Girl’, featuring Sam Neill and Teresa Palmer (dir. Rachel Griffiths.) At the Victorian College of the Arts (VCA), she has played Abigail Williams in ‘The Crucible’ (dir. Adena Jacobs), Refugee, Convener, and Ivy in ‘The Skin of Our Teeth’ (dir. Dean Bryant), Henry in Shakespeare’s ‘Henry V’ (dir. Leith McPherson), Cassandra in ‘The Greeks’ (dir. Mel Beddie), and Arkardina in ‘The Seagull’ (dir. Budi Miller). Joanna has trained in classical piano, violin and both classical and contemporary dance. She is the 2018 recipient of the Irene Mitchell Award. Cheryl is an actor and performance maker. She seeks different ways of storytelling and creating experiences that are often immersive or participatory. She has co-produced, written and performed original works and is a recipient of the Mudfest Creative Development Award. She recently completed a Creative Residency at the George Paton Gallery. Cheryl’s recent credits at the Victorian College of the Arts (VCA) include Gladys in ‘The Skin of Our Teeth’ (dir. Dean Bryant), Ezekiel Cheever and Susanna Walcott in ‘The Crucible’ (dir. Adena Jacobs), Pistol, Bedford and Queen Isabel in ‘Henry V’ (dir. Leith McPherson) and was one of the performers in ‘_CONTROL’ (dir. Romi Kupfer). Cheryl has appeared as Billy in the web series, ‘Tech Inc. Global’ (dir. Harrison Lane, Tom Kerrigan, Alex Thomson) and Li Lin in the short film, ‘Limbo’ (dir. Gwendolyn Lin). 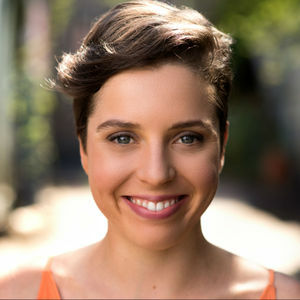 Prior to attending the Victorian College of the Arts, Sarah co-created, produced and performed in the musical comedy ‘Suitcases, Baggage & other Synonyms’ (sell-out seasons at the Melbourne Fringe Festival, Melbourne International Comedy Festival, Theatre Works) and sketch comedy ‘Tell Me About Yourself’ (Melbourne and Adelaide Fringe Festivals). 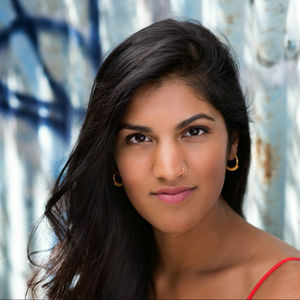 In 2014-15, she trained in comedy writing and improvisation at Second City in Chicago and was a state finalist in the Melbourne International Comedy Festival's RAW Comedy competition. Previous credits at the VCA include Judge Danforth in ‘The Crucible’ (dir. Adena Jacobs), Duke Exeter in ‘Henry V’ (dir. Leith McPherson), Irina in ‘The Seagull’ (dir. Budi Miller) and Vicky in the original VCA web series ‘Winging It’. 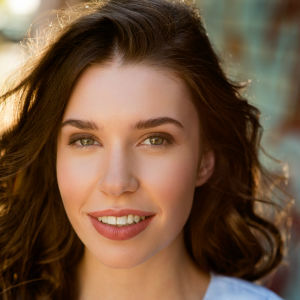 Sarah is a grant recipient of both the Ian Potter Cultural Trust and the American Australian Association and in 2018 was honoured to receive the VCA’s Lionel Gell Foundation Scholarship for excellence in acting. Born in Liberia, Abel grew up in the neighbouring country of Guinea, and arrived in Australia in 2003 as a refugee. Beginning life as a soccer enthusiast, he decided to take the next step in his acting career in 2013. Since then, he has studied at the New York Film Academy and then transferred to the Los Angeles West Hollywood campus. He has also been involved in several feature films, plays and web series including ‘The Skin of Our Teeth’ (dir. Dean Bryant), ‘Peter Pan’ (dir. Ben Schostakowski), and ‘Overseas Husband’ (dir: Isaac Zeogar). Abel wishes to continue highlighting his African heritage further into his career in the performing arts. Originally from Sydney, Callum is a passionate actor and theatre maker based in Melbourne. 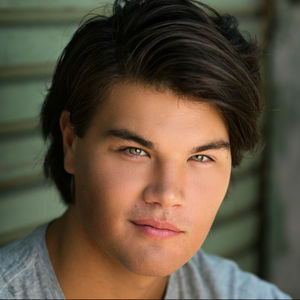 At the Victorian College of the Arts (VCA), Callum has performed as Richard in ‘Richard III’ (dir. Budi Miller), Treplev in ‘The Seagull’ (dir. Budi Miller), Talthybius in ‘The Greeks’ (dir. Mel Beddie), Announcer/Refugee/Lifeguard in ‘The Skin of Our Teeth’ (dir. Dean Bryant) and Reverend John Hale in ‘The Crucible’ (dir. Adena Jacobs). 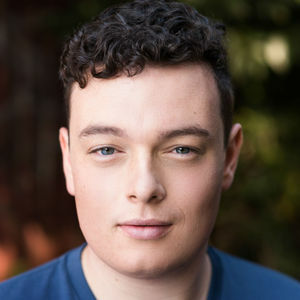 Callum has acted in the web series ‘Winging It’ and ‘The Waiting Game’ as Ben. Prior to VCA Callum performed in various student productions, most notably ‘Death of a Salesman’ (dir. Michael Griffiths) and ‘A Midsummer Night’s Dream’ (dir. Michael Griffiths). In 2015, Callum was a performer and creator of ‘when I grow too old to dream’ which was nominated to perform at OnStage. Callum is also an aspiring playwright hoping to further his craft in Australia and internationally in the future. Edward’s credits at the Victorian College of the Arts (VCA) include Trigorin in ‘The Seagull’ (dir. Budi Miller), Agamemnon in ‘The Greeks’ (dir. Melanie Beddie), Curly in ‘Peter Pan’ (dir. Ben Schostakowski), Moses/Bailey in ‘The Skin of our Teeth’ (dir. Dean Bryant) and Hastings/Murderer in ‘Richard III’ (dir. Budi Miller). During this time Edward has performed in Teatro de los Sentidos’ ‘The Echo of the Shadow’ as part of the 2016 Melbourne Festival, and co-created ‘Mamasquito’ for the BLOOD exhibition at Melbourne Science Gallery. 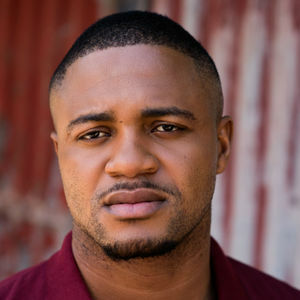 Edward has acted in a number of VCA Film and Television short films and web series, including Michael in ‘Winging It’ (dir. Sarah Burrial), ‘The Ghoulies’ (dir. Harrison Lane) winner of Best Film at the August 2018 Student & Young Filmmakers Feedback Film Festival and ‘Sammy the Salmon’ (dir. Jake Shannon) which is screening at the British Film Institute Festival later this year. Annabelle is a native Melburnian who was inspired to begin acting by the vibrant Melbourne theatre scene. Her credits at the Victorian College of the Arts (VCA) include Clytemnestra in ‘The Greeks’ (2016), Henry V in Henry V (2017) and Mr Antrobus in ‘The Skin of Our Teeth’ (2018). She has discovered a passion for film by portraying the role of Susan in the 2018 web series ‘Tech Inc. Global’ and in future hopes to work in front of the camera both internationally and in Australia. Lachie is a Sydney-born actor and performer currently based in Melbourne. Lachie’s credits at the Victorian College of the Arts include Mr George Antrobus in the ‘The Skin of Our Teeth’ (dir. Dean Bryant), Slightly in Peter Pan (dir. Benjamin Schostakowski), Lopakhin in ‘The Cherry Orchard’ (dir. Budi Miller) and Menelaus in ‘The Greeks’ (dir. Melanie Beddie). Lachie recently starred as Jim in the web series, ‘Tech Inc. Global’ (dir. Harrison Lane, Tom Kerrigan, Alex Thomson). 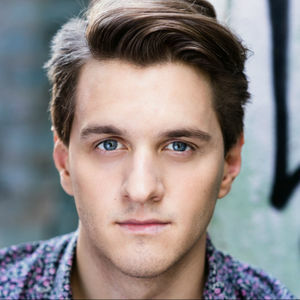 Lachie has a passion for both film and theatre, as well as musical theatre and improv, and enjoys performing a variety of genres. Lachie is also an accomplished guitarist, singer and songwriter. Brooke is an actor originally from Wollongong, coastal New South Wales. Credits at the Victorian College of the Arts (VCA) include Mrs. Antrobus in ‘The Skin of Our Teeth’ (dir. Dean Bryant), Iphigenia in ‘Iphegenia in Aulis’ (dir. Melanie Beddie), Arkadina in ‘The Seagull’ (dir. Budi Miller), John Darling in ‘Peter Pan’ (dir. Ben Schostakowski) and Canterbury/Constable in Henry V (dir. Leith McPherson). During this time Brooke has performed in Teatro de los Sentidos’ ‘The Echo of The Shadow’ in the 2016 Melbourne Festival and performed/co-created ‘Mamasquito’ for the Melbourne Science Gallery’s BLOOD exhibition. 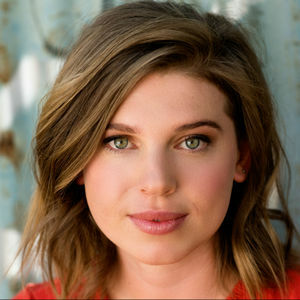 Brooke has featured in commercials and multiple works by VCA Film and Television, including short films, web series and voice over. Prior to the VCA, Brooke trained in the one-year programs at the National Institute of Dramatic Art (NIDA) in the Young Actors Studio and Actors Studio. Louisa Reid, a performer native to Auckland, has a list of recent credits at the Victorian College of the Arts (VCA) comprising of Sabina in ‘The Skin of our Teeth’ (dir. Dean Bryant), Ann Putnam in ‘The Crucible’ (dir. Adena Jacobs), the King of France in ‘Henry V’ (dir. Leith McPherson), Arkadina in ‘The Seagull’ (dir. Budi Miller) and Clytemnestra in ‘The Greeks’ (dir. Melanie Beddie). Louisa performed Chekhov scenes at the Asia Pacific Bureau (APB) Theatre festival in Shanghai, China in 2017. She also has a background in singing, and musical theatre experience from her time in New Zealand. Karl Richmond is an actor, director and performance maker. His credits at the Victorian College of the Arts (VCA) include Henry Antrobus in ‘The Skin of Our Teeth’ (dir. Dean Bryant), Michael Darling in ‘Peter Pan’ (dir. Ben Schostakowski), Prince Edward in ‘Richard III’ (dir. Budi Miller), Lopakhin in ‘The Cherry Orchard’ (dir. Budi Miller), which he then performed at the Asia Pacific Bond Theatre Conference 2017 Shanghai. Having a strong focus in film, Karl has performed in many shorts and web series including ‘Watch Me’ (dir. Sebastian Bertoli) as T, for the Master of Film and Television program at VCA and in ‘Winging It’ as Nelson for the VCA Webseries. Most recently Karl filmed ‘Heaven’, a coming of age short. 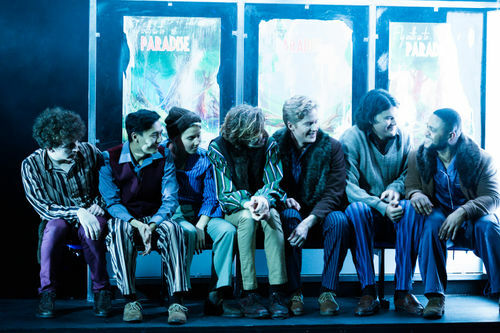 Outside VCA, Karl performed as Frankie Epps in the musical ‘Parade’, performed at the Malthouse Theatre (dir. Bruce Hardy) and in ‘The Echo of the Shadow’ with Teatro de los Sentidos for the 2016 Melbourne Festival. Karl was the recipient of the Grace Marion Wilson Trust and is currently directing a new musical. Samuel is a Melbourne based actor and theatre maker. His recent credits at the Victorian College of the Arts (VCA) include Lily Sabina in ‘The Skin of Our Teeth’ (dir. Dean Bryant) Mary Warren in ‘The Crucible’ (dir. Adena Jacobs), Buckingham in ‘Richard III’ (dir. Budi Miller) and Achilles in ‘Iphigenia at Aulis’ (dir. Melanie Beddie). Sam also co-created and performed in an independent production ‘Have You Herd’. Before training at the VCA Sam performed in ‘Alice in Wonderland’ and ‘Conference of the Birds’ at the Lawler Theatre and Malthouse Theatre respectively. Sam has participated in masterclasses around the world at venues such as GEOKS Art Space in Bali and the Lee Strasberg Theatre and Film Institute in New York. 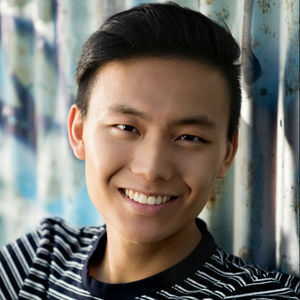 Born in Korea and raised in New Zealand, Andy moved to Melbourne to study Acting at the Victorian College of the Arts. He has played Achilles in ‘The Greeks’ (dir. Melanie Beddie), Trofimov in ‘The Cherry Orchard’, Catesby/the Boar in ‘Richard III’ (dir. Budi Miller), Twin in ‘Peter Pan’ (dir. Ben Schostakowski) and Telegraph Boy/ Announcer in ‘The Skin of Our Teeth’ (dir. Dean Bryant). Andy was selected to perform at the Asia Pacific Bond Theatre Schools Festival in Shanghai in 2017 where he collaborated and performed with international artists at the closing night ceremony. 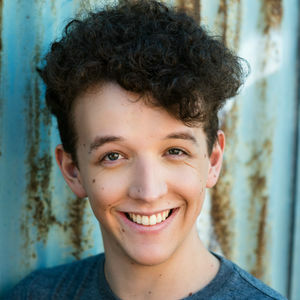 Outside of the VCA, Andy has performed as JD in ‘Heathers’ and Roger De Bris in ‘The Producers’ (UC Theatre Company). Andy was the recipient of the Ursula Hoff Scholarship for Excellence in Performing Arts at University College. Andy is also a singer-songwriter, drummer and guitarist. 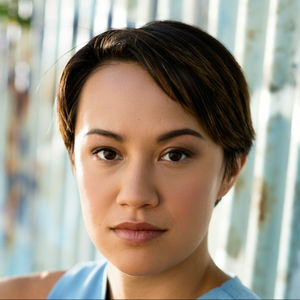 Aquilla is a Melbourne-based actor and performer. Aquilla’s recent credits onstage at the Victorian College of the Arts (VCA) include Wendy Darling in ‘Peter Pan’ (dir. Benjamin Schostakowski), and Henry Antrobus in ‘The Skin of Our Teeth’ (dir. Dean Bryant). She also co-created and performed in ‘Mamasquito’ during the BLOOD exhibition at the Melbourne Science Gallery as part of her student-based collective Gesuindeheit. Her most recent screen projects include the web series ‘Tech Inc. Global’ playing Raven (dir. Harrison Lane, Tom Kerrigan, Alex Thomson), and the short film ‘Back Burn’ as Emma (dir. Jake Shannon). Prior to attending the Victorian College of the Arts (VCA), Lauren was employed by Shake & Stir Theatre Company. Previous credits include Ariel in ‘Footloose’ (dir. Amy Anderson), Carly in ‘Reasons to be Pretty’ (dir. Emily Guilhome) and even worked on ‘Pirates of the Caribbean: Dead Men Tell No Tales’ (dir. Joachim Rønning, Espen Sandberg). 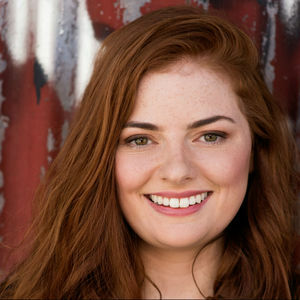 While at the VCA, Lauren has tackled many roles including Varya in ‘The Cherry Orchard’ (dir. Budi Miller), Princess Katherine in ‘Henry V’ (dir. Leith McPherson), Mrs Darling in ‘Peter Pan’ (dir. Ben Schostakowski) and Gladys in ‘The Skin of Our Teeth’ (dir. Dean Bryant). In 2017 she represented the VCA at the Asia-Pacific Bond (APB) Theatre Schools Festival in Shanghai. She recently played the lead role of Carrie in a short film called ‘Attitude Will Get You Everywhere’, directed by Brett Eagleton, whose previous short film made it to Cannes Film Festival. Lauren is also an accomplished vocalist. Alexander’s theatre credits at the Victorian College of the Arts (VCA) include Agamemnon in ‘The Greeks’ (dir. Melanie Beddie), Trofimov in ‘The Cherry Orchard’ (dir. Budi Miller), Richard III in ‘Richard III’ (dir. Budi Miller), Smee in ‘Peter Pan’ (dir. Benjamin Schostakowski) and Dinosaur/Conveener in ‘The Skin of Our Teeth’ (dir. Dean Bryant). Film credits at the VCA include Robert in ‘Tech Inc. Global’ (dir. Harrison Lane, Tom Kerrigan and Alex Thomson). He represented the VCA at the 2017 Asia Pacific Bond in Shanghai China and is a Victorian College of the Arts Secondary School (VCASS) mentor. Last year Alexander participated in an intensive clown, mask and traditional Balinese arts workshop coordinated by Budi Miller in Bali. For all enquiries about members of Acting Company 2018, please send us an email.